A project designed to educate school children in Narembeen about the local native flora now has a more permanent place in the curriculum. 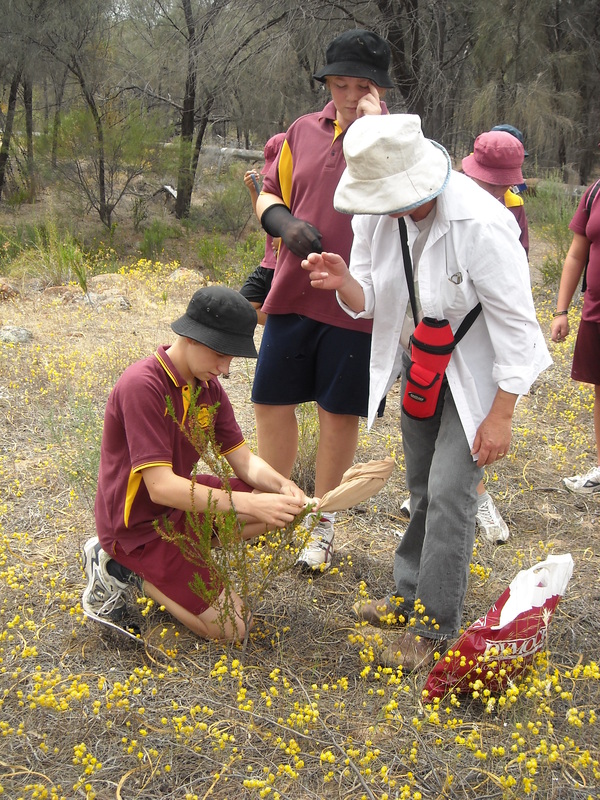 Students have been busy collecting native seeds from the Wadderin Wildlife Santuary, 500 hectares of mainly undisturbed bush, just north of the town. A grant from Wheatbelt NRM has helped the students and teachers build a reticulated shade house, which is now being used to propagate native species to be planted back in to the reserve and around the town. The school’s deputy principal Russell Arnold said it was a great opportunity for students to learn about the local flora, as well as contribute to the community. “Wadderin is considered one of the last bastions of native flora and fauna in the Narembeen area,” Russell Arnold said. “We’ve been involved in clean up days before, but I can’t think of a time in my 19 years teaching here, when the school has been so involved in such a community-based activity.” With the help of registered seed collector Michelle Fry, more than 30 students have been cutting seed pods or using stockings over flower heads to catch seeds. “With help from Wheatbelt NRM, the high school students have also been involved in concreting and building a shade house, and then planning and installing a reticulation system,” Russell Arnold said. “After the seeds have been collected, we take them here, sow them and now the Year Six and Seven class is thinning and nurturing the seedlings.” Mr Arnold said the project had also raised awareness about the Wadderin Wildlife Sanctuary. “The students have really enjoyed visiting the area, and while the area is only eight kilometres out of town, many of them didn’t even realize it was in their own backyard,” Russell Arnold said. Some of the native seeds that have been collected include the Calothamnus, which has a red claw shaped flower. “Similar to a bottle brush, this plant will now be featured around the town, encouraging the native flora to florish,” Russell Arnold said. Mr Arnold said the activity had become so popular, it would become an ongoing project. “We can now continue to be involved with the Sanctuary, thanks to the grant from Wheatbelt NRM which has helped establish the shade house,” Russell Arnold said. “Water and potting mix will be a cost that the school will deal with, but the infrastructure we have built with the funding will always be there.” People interested in the Wheatbelt NRM Community Small Grants scheme have until March 26th 2010 to apply. For an application form visit http://www.avonnrm.org.au/funding/ or contact Carla Swift, WNRM Communications Officer on 9690 2257.